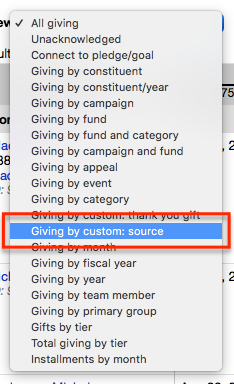 One of the easiest ways to create a quick listing of gifts by a specific campaign, fund, appeal, event, or gifts to be acknowledged is via the "View" menu in the Fundraising tab. 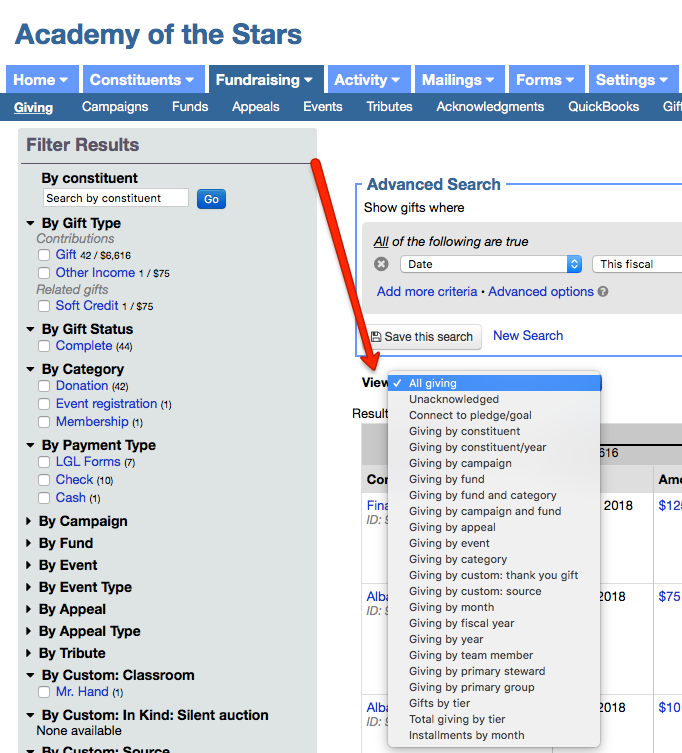 The default view is for "All giving", but by opening the menu you have access to a variety of options on which you can search. 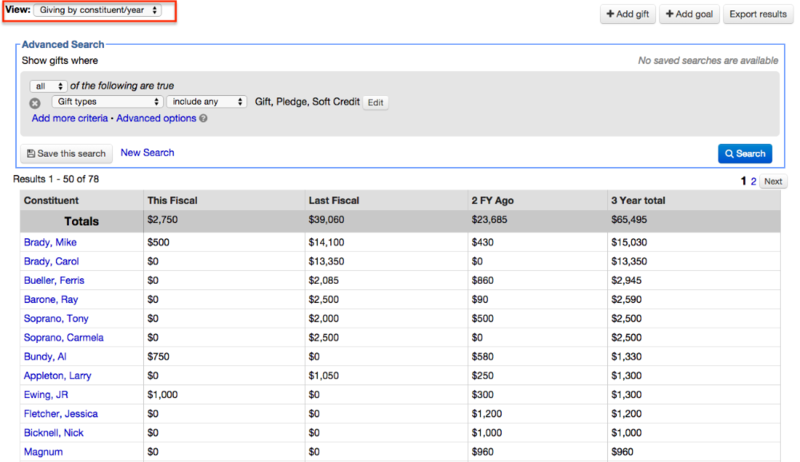 When you choose to view by Campaign, Fund, Appeal, or Event, for instance, you can also continue to filter your results by any additional criteria you want, such as date, payment type, and so on. Better yet, you can also quickly and easily export those search results right from this screen as either a .pdf or .csv file. Note: As with constituents, if you are exporting fewer than 500 records, the export will be available immediately. Otherwise, LGL will process the export within a few minutes and send you an email when it is completed. 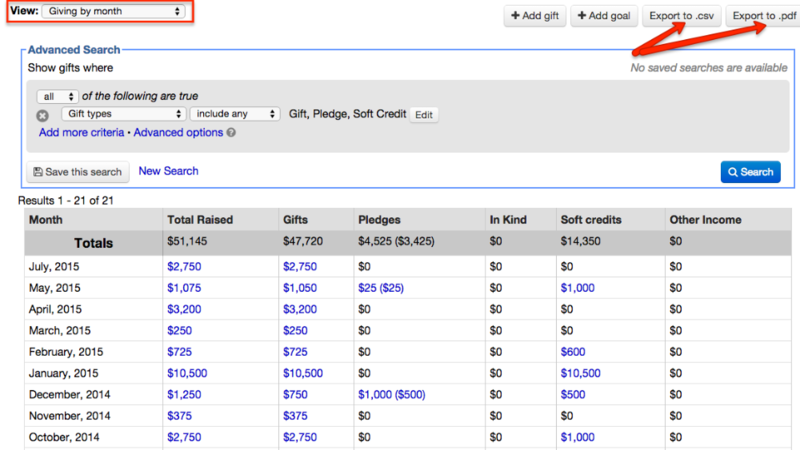 Giving by custom gift category: On-screen report showing the total number of gifts with the custom gift categories assigned, broken out by total raised and gift type. 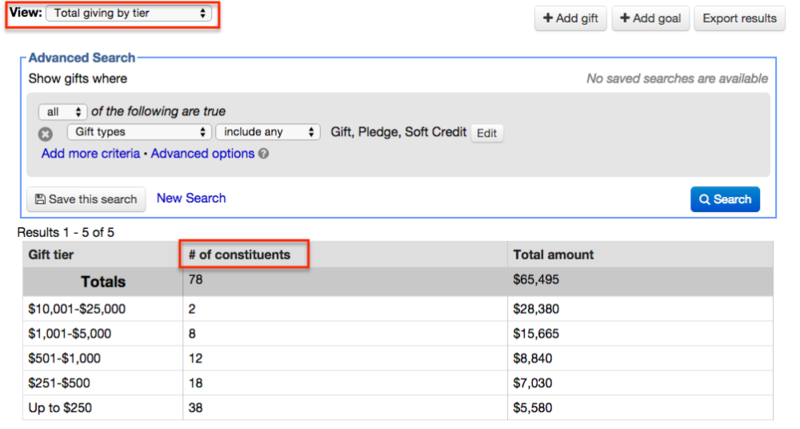 Total giving by tier: On-screen report with the number of constituents by gift tier and the total giving amount in that tier.